Manufacturers love to position zero-calorie sweetened foods and drinks as better because they create a “halo effect” and they know you’re more likely to buy them. We’re surrounded by low-calorie or calorie-free foods and diet soft drinks that contain artificial sweeteners touted as healthy or consequence-free. As a result, the number of Americans who consume products that contain sugar-free sweeteners grew from 70 million in 1987 to 160 million in 2000. At the same time, the incidence of obesity in the United States has doubled from 15 percent to 30 percent across all age groups, ethnic groups, and social strata. And the number of overweight Americans has increased from about 30 percent to over 65 percent of the population. The fastest growing obese population is children. High sugar intake deservedly takes the blame here, but we frequently overlook artificial sweeteners as a potential culprit. The evidence is catching up. Recent studies have not been kind to artificial sweeteners, claiming among other problems they adversely affect gut health and glucose tolerance. You’re probably wondering, though, how a calorie-free sweetener could make you fat. If you’ve read my blogs, you know that while calories count, other factors like hormonal imbalances contribute far more to weight gain. Let’s briefly look at three reasons artificial sweeteners create adverse consequences to your waistline and health. 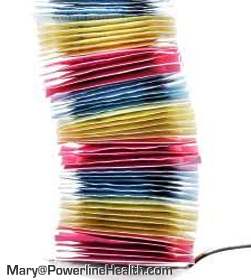 Artificial sweeteners increase your risk for diabesity. Studies show sugar substitutes potentially can increase your risk for weight gain, metabolic syndrome, type 2 diabetes, and cardiovascular disease. One study of rats that were fed artificially sweetened food found that their metabolism slowed down and they were triggered to consume more calories and gain more weight than rats fed sugar-sweetened food. In another animal study, rats that consumed artificial sweeteners ate more food, their metabolic fire or thermogenesis slowed down, and they put on 14 percent more body fat in just two weeks even if they ate fewer total calories than the rats that ate regular sugar-sweetened food. Artificial sweeteners rewire your brain chemistry and metabolism. How could aspartame and other fake sweeteners make you gain weight even though they’re calorie-free? Because they stimulate your taste buds and trick them to think you’re eating real sugar. Artificial sweeteners can be 1000 times sweeter than sugar, so your body becomes confused and revs up production of insulin, your fat-storage hormone. Your metabolism slows down, you become hungry more quickly, you’re prone to eat way more food (especially carbs), and increased belly fat is the inevitable result. Because they confuse and slow down your metabolism, you burn fewer calories every day. Artificial sweeteners make you hungrier and cause you to crave even more sugar and starchy carbs, such as bread and pasta. Let’s consider that last point a little more closely, particularly with diet sodas, which account for a fair amount of the artificial sweeteners we consume. One of the biggest struggles I see with patients – ironically, usually overweight or obese patients – is surrendering their diet sodas. Like artificial sweeteners, we’ve been misled to think they’re guilt-free alternatives to regular soda. Hardly. Diet soda and diet drinks make you fat and cause type 2 diabetes. Have a little. If you like sugar and want a little bit, fine, but eat real food and then have sweet things. Consider sugar a recreational drug that you can partake of in moderation like red wine or tequila. Put a little sugar in your coffee because at least you’re aware about how much you’re getting. Likewise, you’re not going to overeat cake, because you know it’s bad for you. One caveat: If you know a little sugar will become a slippery slope for overeating, stay away from the sweet stuff period. Become aware of hidden sugars even in so-called healthy foods. Read ingredients and realize sugar lurks even in foods that don’t taste sweet or that are positioned as healthy. Learn to appreciate natural sweetness. Fruit, nuts, and other real foods contain natural sweetness without processed foods’ sugar overload or the detrimental effects of artificial sweeteners. Stop confusing your body. If you have a desire for something sweet have a little sugar, but stay away from “fake” foods. Eating a whole-foods diet that has a low-glycemic load and is rich in phytonutrients and indulging in a few real sweet treats once in a while is a better alternative than tricking your body with artificial sweeteners, which leads to wide scale metabolic rebellion and obesity. Judiciously use this one sweetener. Among sweeteners, I make one exception with stevia. A little bit in your coffee or tea should be fine, but be judicious. Besides, overdoing stevia creates a bitter effect, so you’re more likely not to get carried away. If you partake, make sure you’re buying 100 percent pure organic stevia, not the stuff that contains bulking agents like maltodextrin (corn) and nebulous natural flavors.